A long-standing roofing material most commonly used on low-slope roofs, built up roofing is also known for short as BUR. 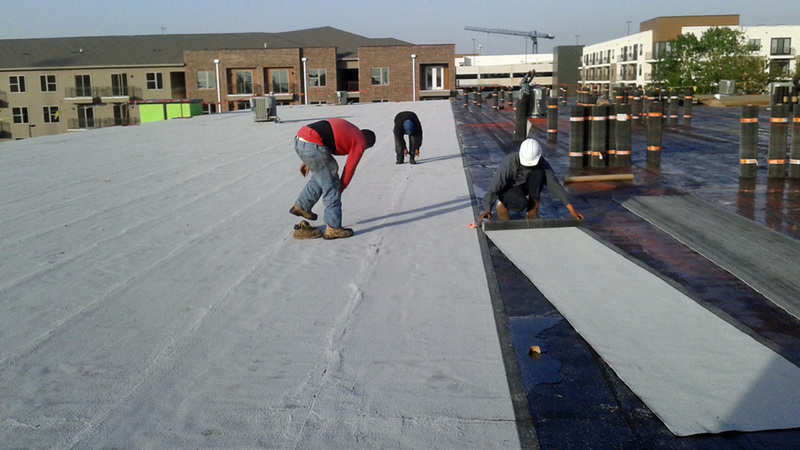 Used for more than a century, built up roofs are also referred to as tar and gravel roofs, comprised of alternating layers of bitumen and reinforcing fabrics to result in a finished membrane. The layers in between are known as ply sheets, made stronger by mats constructed of either fiberglass or organic materials. 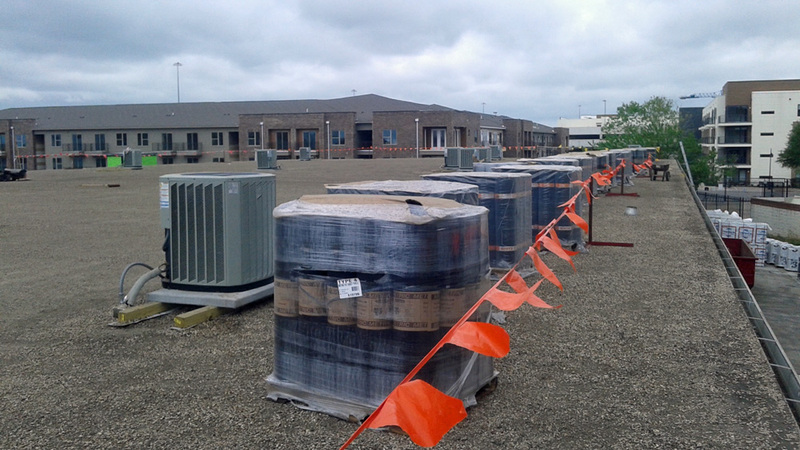 There are many different types of BUR, ranging from smooth asphalt built up and ballasted asphalt, with both kinds using coal tar, asphalt or cold-applied adhesive. Rely on EDP Roofing to install or repair the built up roofing on your commercial business. We work throughout North Texas and the Dallas/Fort Worth metro area. GAF Certified and members of the North Texas Roofing Contractors Association, we partner with the top trusted manufacturers in the industry, including Carlisle, GAF, Firestone and Polyglass. When you want exceptional quality and attention to detail when installing or repairing your built up roof, call us for the best rates and service. Remember, we back up all our work with industry-leading warranties. Our team would be happy to go over more advantages of built up roofing with you when you call us for a free no-obligation estimate. Why Choose us for BUR? Not only do we have more than 40 years of experience in the roofing industry, we are GAF certified roofers who have built up a solid reputation over the years as a dependable resource. Licensed and insured, you can count on our professionals for courteous, prompt, affordable service each and every time. Our goal is to keep your business looking beautiful and functional while at the same time protecting it with the most durable materials that are built to last. Contact us at 972-921-6116 if you are interested in learning more about built up roofing and to get a free, no-obligation estimate. EDP Roofing, located at 790 S Interstate 35 East in Lancaster, TX, is open Monday through Saturday for your convenience.